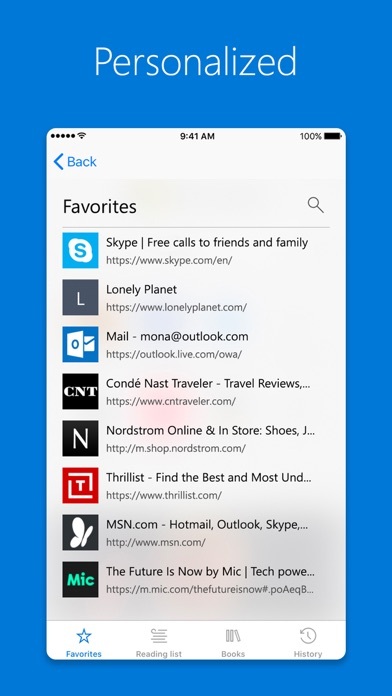 Microsoft Edge, now available on iOS, creates one continuous browsing experience for Windows 10 users across their devices. Content and data sync seamlessly in the background, so users can browse across devices, without skipping a beat. 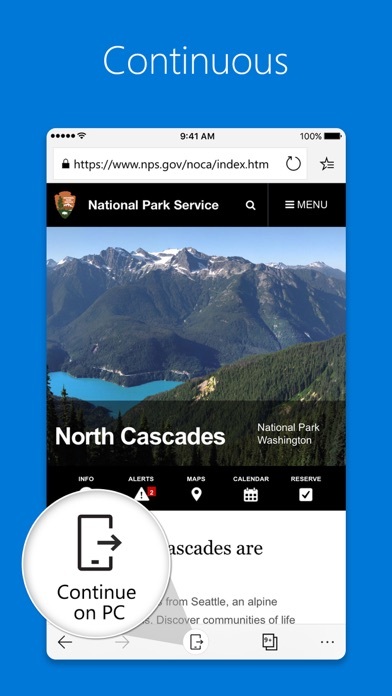 Familiar Microsoft Edge features like the Hub allow users to organize the web in a way that cuts through the clutter, making it easier to find, view and manage their content on-the-go. 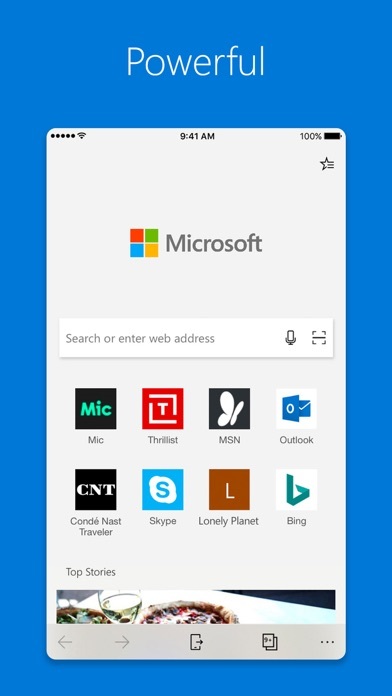 Microsoft Edge is designed for Windows 10 users to browse the web how they need to, wherever they are, without disrupting their flow. Continue on PC: Go anywhere and pick up where you left off by seamlessly moving content between your mobile device and PC (requires Windows 10 Fall Creator’s Update). Data Sync: Your favorites, passwords, and reading list are synced across your devices, so no matter the device, your browser is always personalized to you. 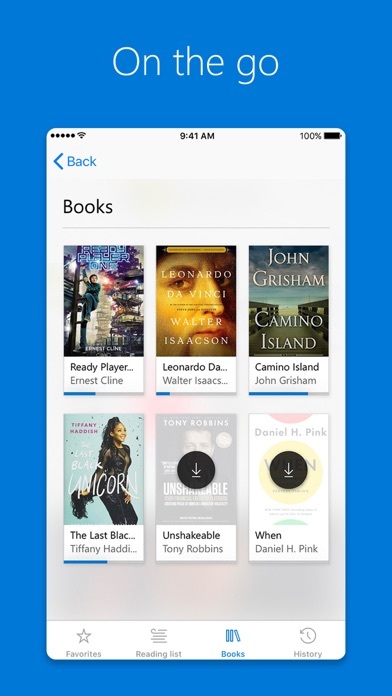 Hub View: With your favorites, reading list, history and books all in one place, finding and managing your content is made simple. QR Code Reader: Easily read QR codes at the touch of a button. Microsoft Edge will pull up the reading and information right onto your screen. Voice Search: You can now use your voice to search the web. Ask a question or speak a prompt to use the web in more natural, familiar ways. 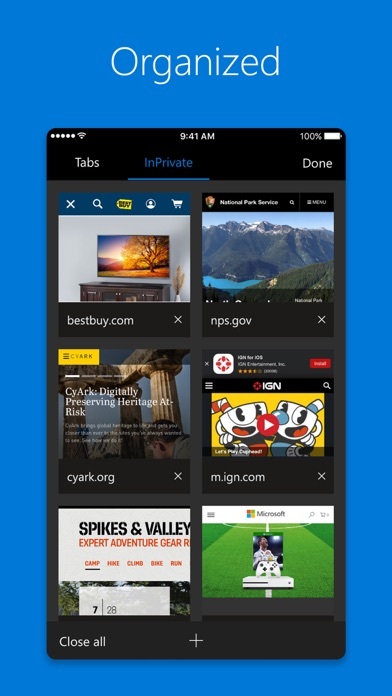 InPrivate: When you browse with InPrivate mode, your browsing data (like your history, temporary internet files, and cookies) isn't saved on your PC once you're done.